Why start a retail business? There’s one thing every entrepreneur should ask themselves: is now a good time to open a business? In terms of retail, the stats could leave you in two minds. We’re told that the UK high street is in decline, with footfall down by 10% in some cities. However, there is plenty of research that suggests the retail sector (and its workforce) is, in fact, booming. In 2016 the sector contributed 5.9% of the UK’s GDP and employs 2.8 million people. Suffice to say, shopping remains a national pastime. This is being driven, in part at least, by the digital revolution. Technology has transformed how we shop, how retailers sell, and the rate at which new retail jobs are created. According to the British Retail Consortium, 100,000 retail employees are currently working in roles that didn’t even exist five years ago. Data from the Office of National Statistics affirms those stats, with the value of online sales increasing by 18.5% in August 2016 compared with August 2015. Are you ready to enter retail? Data aside, there are plenty of reasons why you might decide to make the leap into retail: perhaps you want to ditch the desk job; you’ve seen a gap in the market; you want to spend more time with your family; you’ve been made redundant; you’re keen to turn your hobby into a job; or maybe it’s simply time for a change. If you want to make your dream a reality, all you need is a plan, lots of energy and the desire to succeed. Notonthehighstreet.com is a great example of what can be achieved. Its two founders, Holly Tucker and Sophie Cornish, were sitting at a kitchen table when they first discussed their idea. Ten years later, the retailer has grown far beyond what anyone could have imagined. Sales last year were in excess of £150 million and that growth is expected to continue. Notonthehighstreet.com is just one story among many and highlights an important fact: you don’t need to open a shop front in order to start a retail business. You don’t even need to invest in a complex website to make your business a success. There are a host of off-the-shelf solutions such as SquareSpace (website creation) or Shopify (ecommerce software) that offer everything you need to start selling online or in person. There’s also the option of selling direct through Pinterest, Facebook or Instagram. Social media ecommerce allows you to turn your accounts into online stores and your posts into sales. It means you can see what prospects are saying about your brand so you can understand your audience, generate new leads and build deeper relationships with your existing customers. That’s not to say that all retail businesses need to be digital, simply that entrepreneurs have a choice. Whether you opt for online or bricks and mortar will depend on what it is you’re selling, who you’re selling it to, and your long-term business goals. Technology is another key factor in determining how your retail business will manifest itself. Today’s consumers are spoilt for choice. They want a streamlined customer experience and a service that is personalised to their needs; they do not want slow transaction times or poor customer service. It’s up to retailers to give them exactly what they want – and that means embracing technology. Whether a retail business operates online or offline both can offer the same level of customer service and personalisation. Smart analytics and smart algorithms contribute to the overall effect: being able to target the right people, on the right device, with the right content, at the right time. Hit the sweet spot and you can guarantee your customers will be coming back for more. Starting a retail business from scratch is a challenge. You might have the energy, determination and desire to make a business succeed, but you’re missing that all-important idea. Luckily, there are other options you can explore. There are currently around 621,000 people employed in franchising in the UK. Collectively they contribute more than £15 billion a year to the UK economy. According to the latest Franchise Industry Research, 97% of franchisee-owned units report profitability and 91% of franchisees are satisfied with their franchisor. No wonder franchises are on the rise. Successful franchisees have much in common. Many start out with low-cost franchises (before owning multiple businesses), work with friends or family, enjoy a healthy work/life balance; and haven’t been driven by cash. Nearly all have followed their dream. But there’s more to franchising than fast food. Riverford’s network of veg box delivery teams are another franchising success story. Nick Riley is the Riverford franchisee for the Bristol area. As one of the network’s longest-standing franchisees, Nick and his team currently deliver to 2,000 customers a week and have a turnover of £1.5 million. Owning a franchise allows you to go into business for yourself, not by yourself. It means you can step into a profitable business model that is tried and tested, and comes complete with a ready-made brand. Maybe you want even more autonomy and the chance to stamp your own mark on a business? In which case, buying an existing retail business might be a good option for you to consider. It means you’re paying for an established customer base and a recognised brand. The whole process may be far simpler and less stressful than starting from scratch, but there are still a number of key questions you should ask yourself before taking the plunge. Why is the business up for sale? There are plenty of genuine reasons why an owner may want to sell their retail business: retirement; financial; or they just want a change. It’s up to you to determine whether a business is closing for the wrong reasons. Make sure you research the background to the sale thoroughly. Has the business been a success? Be sure to do your research in terms of profitability and future opportunity for the business. Ideally, you want to know the business has at least broken even and has the potential to make money in the future. For example, how strong are its sales prospects? Is there scope to branch into new locations? Are there other applications for what it does that might mean you could take the business to new product markets? What will be the impact of expansion and/or change on existing overheads, staffing requirements, delivery needs, etc? Where is it? An online business gives you added flexibility and can be purchased quickly and relatively inexpensively. However, multiples for successful online business ventures can be high. Make sure you know who you are buying from, research traffic reports, check out the competition, look into suppliers, and understand why the owner is selling. If it’s a bricks and mortar store, you want one with a high footfall. Look into any environmental, community or legal concerns in the local area. If it’s a mobile business, do you need licences or other consents to operate in the locations that you want to be? How many of your rivals are in the same location? What will you be able to do if they move in close by? What do you get for your money? Find out what equipment comes as part of the package. If you are paying a premium for that equipment, have it properly evaluated to make sure that it’s worth it. Ensure that you know whether this is the latest equipment available too. Paying a lot of money for old equipment when your rivals might be investing in much newer kit is always a business risk. The roll call of Dragons’ Den ‘rejects’ is proof that good business sense is hard to perfect. Rob Law’s Trunki and Shaun Pulfrey’s Tangle Teezer are two notable examples; the Dragons failed to see the potential in what are now multi-million pound businesses. So remember, you may get a few knock-backs along the way, but if you have a great idea and are willing to spend the time and effort into making it a success you’re already well on your way to retail success. Buying an existing business can be a successful route to becoming your own boss. 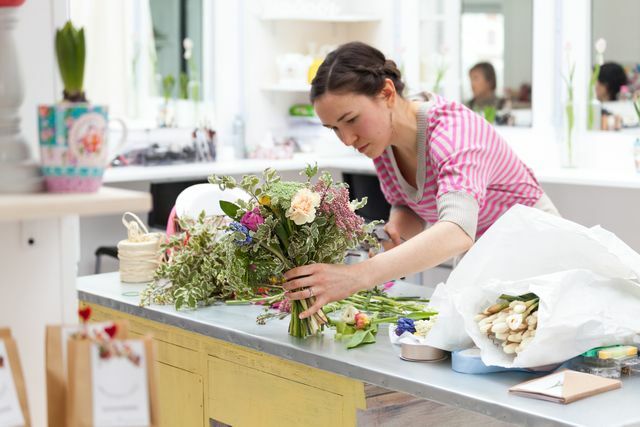 Take a look at the steps involved in finding, valuing and buying a small business to decide if buying a business is the right direction for you.